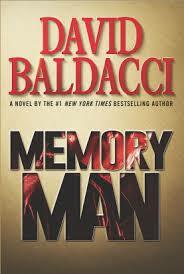 I’m reading the David Baldacci novel “Memory Man.” The main character has a condition, caused by a football injury to his brain, where he remembers everything that ever happened to him, everyone he met, every situation. That’s a lot of crap to store in your cranium, but our brains seem to come with a pretty big grey matter drive on which to store things. I don’t have that condition but I do have an inordinate ability to remember arcane details, yet I can’t remember someone’s name 20 seconds after meeting them. 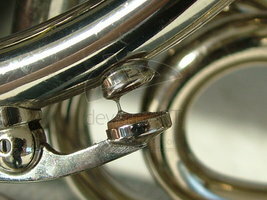 But this was actually normal for me and I used to joke that it would be great if our brains were equipped with spit valves, like trumpets. When you used a useless piece of information you’d been storing for too long, you pulled the valve and it left your brain and made room for new information. In fact, Chester and I didn’t even have to say it. When I spouted forth with such content, we both just looked at each other, reached behind our noggins and made a pulling gesture, as if we were activating our brains’ spit valves. But to not have that mental spit valve, as someone with the condition described in “Memory Man” wouldn’t really bother me. Who knows. You never know when you’ll be in Findlay, Ohio again…and hungry.